The Sikh temple round the corner. 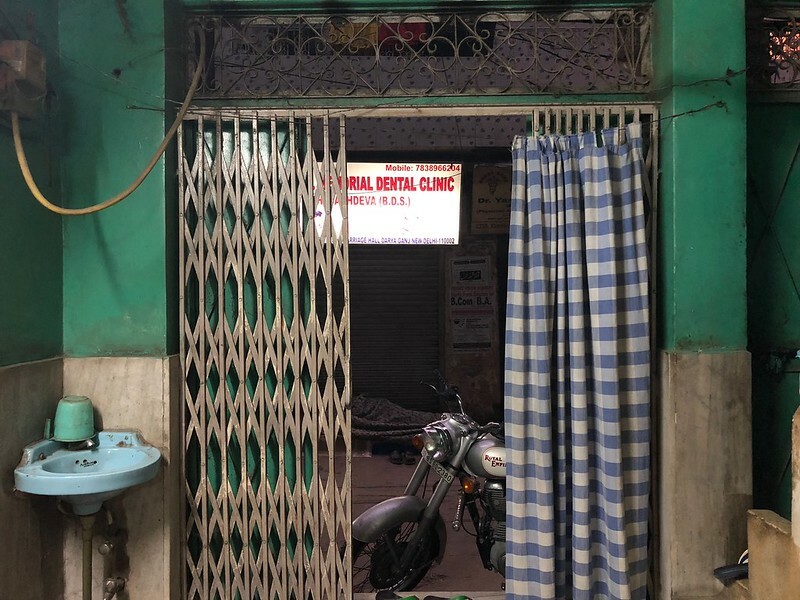 Those on the lookout for little-known religious landmarks should make a beeline to Old Delhi’s cramped bylanes. 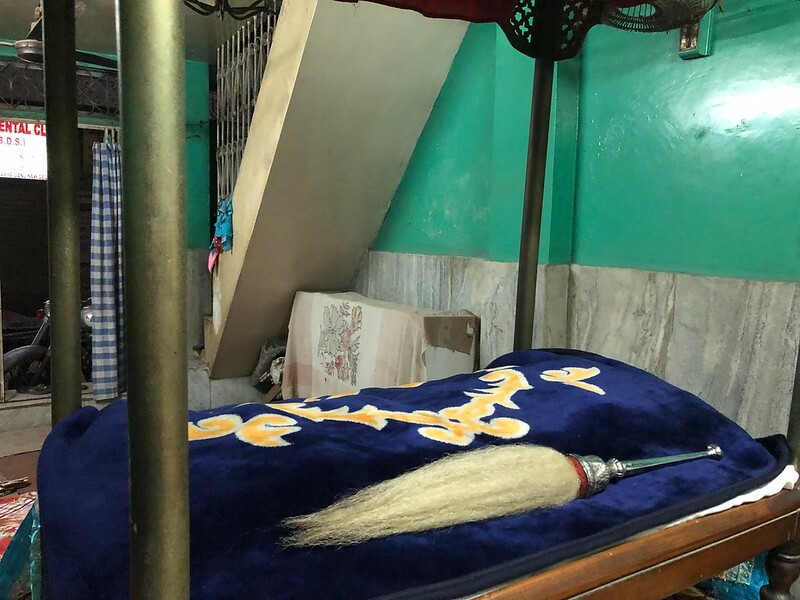 Sooner or later you’ll bump into a Sufi shrine or Hindu temple or — in this case — a Sikh gurdwara. 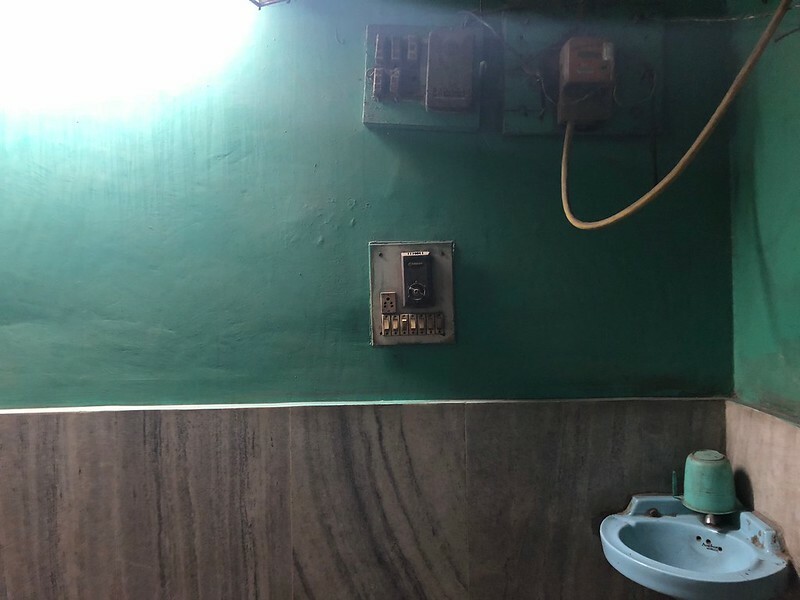 This place of worship is so small and unassuming that it looks like a private drawing room. On any morning on the street in Kucha Chalaan you’ll hear an elderly lady singing ardas. 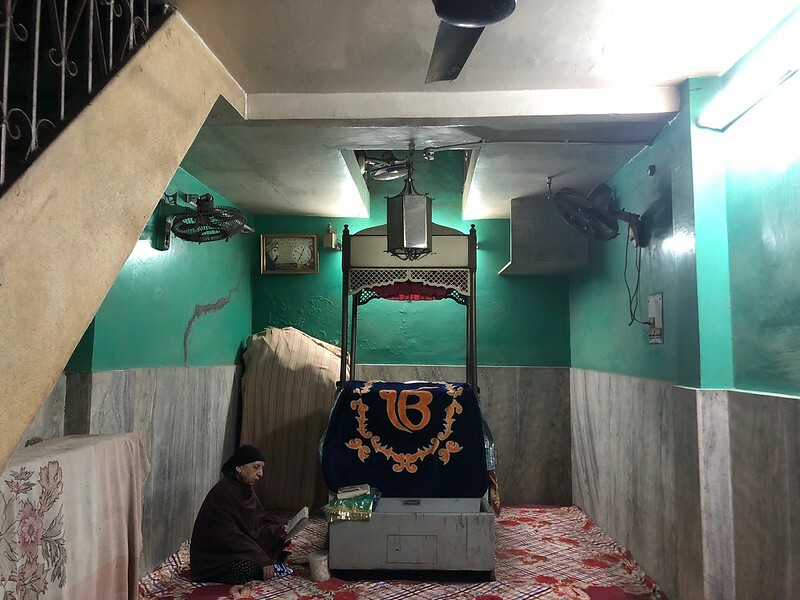 Amarjeet Kaur is normally seated at the far end of the carpeted floor, beside the canopy sheltering the Guru Granth Sahib. 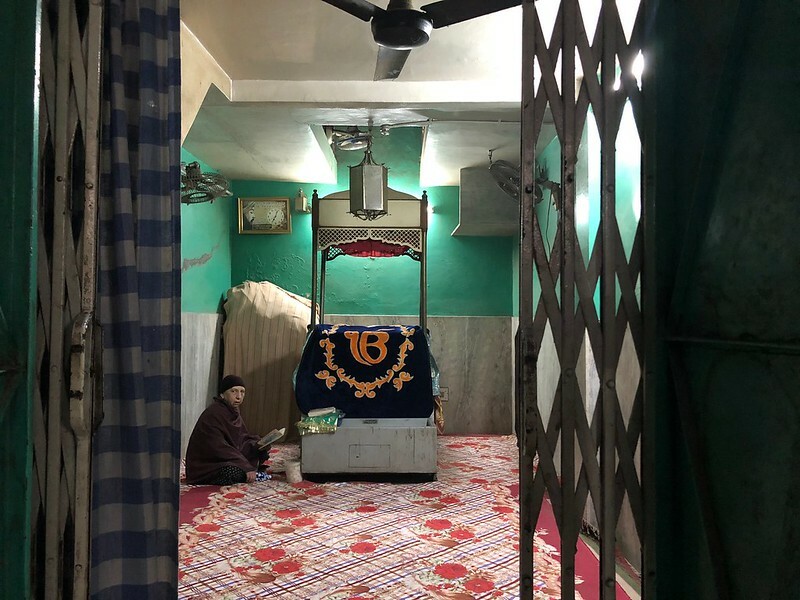 One freezing morning, The Delhi Walla falls into conversation with Ms Kaur who reckons that the Sant Sangh Sabha gurdwara “is even older than Pakistan.” It was founded by “a Sindhi baba”, she believes. 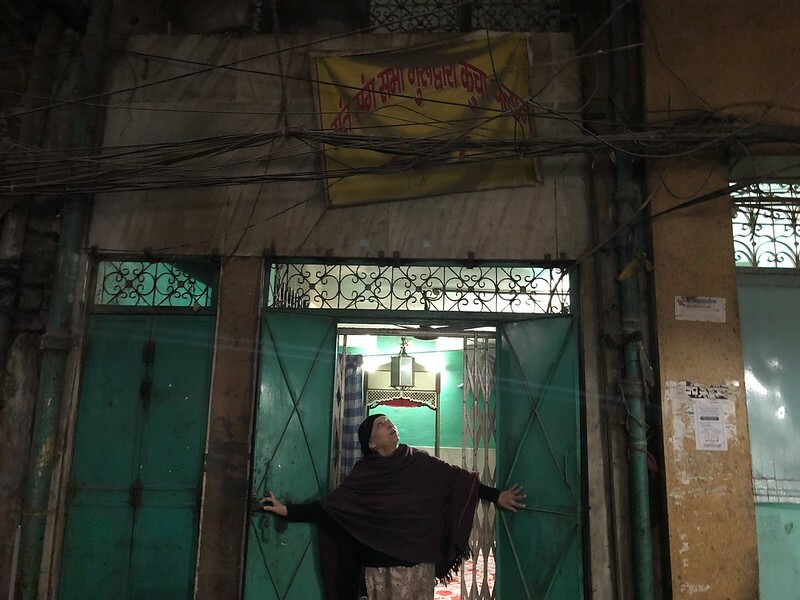 She’s lived in a house above the gurdwara for some 20 years, doing her morning prayers so early that the shops are shuttered and the street is deserted and still. Not far from here is the historic gurdwara of Sis Ganj Sahib in Chandni Chowk, with its magnificent gold-plated dome. This spacious shrine almost always teems with pilgrims from near and far. 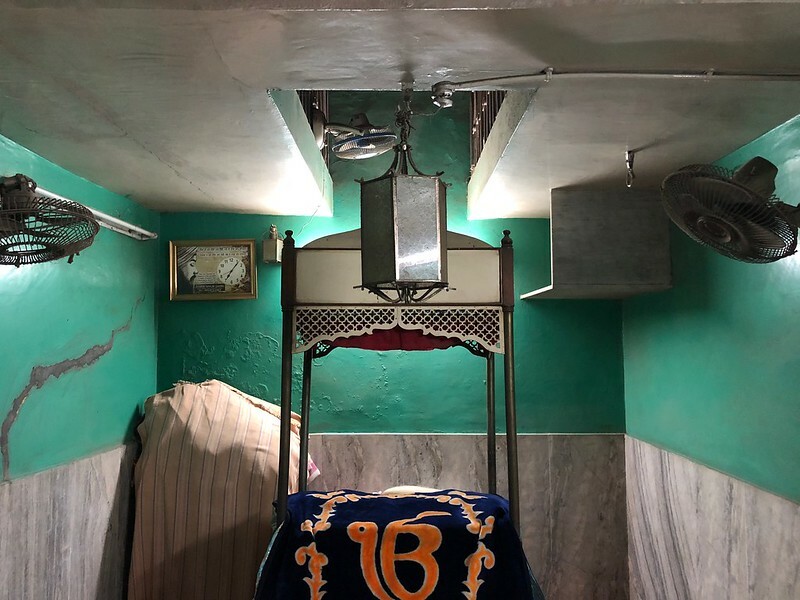 Ms Kaur’s gurdwara, in comparison, is merely modest — a humble place. But listening to her lilting prayers in those early morning hours is an experience approaching the sublime.